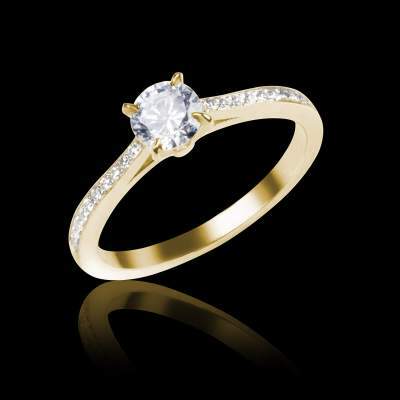 Home > Our News > How to Buy an Engagement Ring ? How to Buy an Engagement Ring ? If you’re reading this blog then a congratulations is in order! You’re at a very important time in your life where you’re ready to take the leap into the next chapter. Getting down on one knee and asking your partner for their hand in marriage is a huge deal - it takes a lot if consideration, courage and planning. One huge part of proposing to your significant other is the engagement ring you’re going to present them with. Whether you choose to buy the engagement ring online or instore, one thing is certain - you want to make sure you get it right. 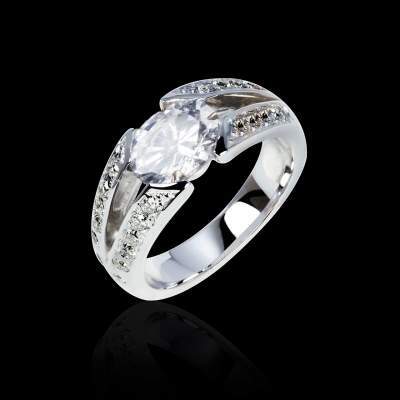 After all, a diamond or gemstone ring is a big expense and the love of your life will go on to wear every day. You’re about to spend a fair bit of money on an engagement ring - it is important to remember that the engagement ring is symbolic of the most important relationship and person in your life. Think about it - you’re presenting your beau with a stunning ring because of your desire to take your relationship to the next level and make it permanent. Whether you’re choosing to buy a personalised gemstone engagement ring, or you want a unique diamond and white gold ring, it is important that you follow the universally agreed guidelines to make sure you're getting the best quality ring possible and good value for your money. Who received the first ever diamond engagement ring? Records state that Archduke Maximilian gave Mary of Burgundy the first diamond engagement ring in 1477. 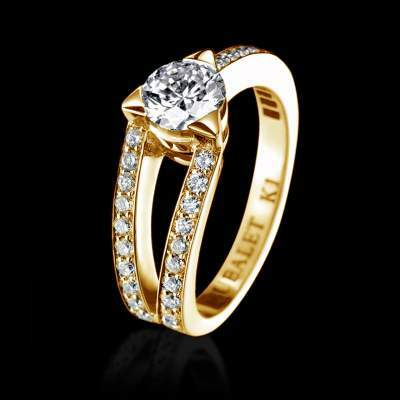 As a token of celebration for their betrothal, he placed a diamond ‘M’ shaped ring on the ring finger of her left hand. At the time this finger was believed to be the ‘vena amoris’ - the finger with a vein that ran directly to the heart. Now that you’ve had the ‘what do you want in life’ discussion, it’s time to think about the budget for the engagement ring. Forget about the De Beer’s one month salary myth and purchase an engagement ring that you can afford. Whether you choose to purchase a customised diamond and sapphire 18 carat white gold engagement ring that you’ve designed, or you choose to go for an understated solitaire 9 carat rose gold engagement ring, you’re in charge of how much you want to spend. You should also allow a 10% margin for any extra unforseen costs. If you’re buying your partner an engagement ring, you need to make sure you choose the right ring size. Getting the wrong ring size isn't the end of the world, but you might find things are a little more challenging. If you've designed a sapphire and diamond multi-stone platinum engagement ring with engravings on the banding and it’s too big, resizing it will be a challenge. Should you purchase a ring that’s the wrong size, you’ll probably need to pay to get the ring properly resized (hence the importance of a margin). The best way to find out your partner’s ring size is by acquiring a ring they’re not wearing and taking it to a jewellers. The jeweller can then measure it and the rest is history. If your partner doesn’t have a ring to hand, you can always try to measure their ring finger with a piece of string whilst they’re asleep. If you want to keep the proposal as a surprise then this is the route to take! As your partner will be wearing their engagement ring for the rest of their life, you need to design a ring that suits their tastes and style. We recommend taking your partner window shopping just so that you can get a feel of what they do and do not like. You could also ask your partner’s friends and family - that’s if you trust them to keep this a secret of course! 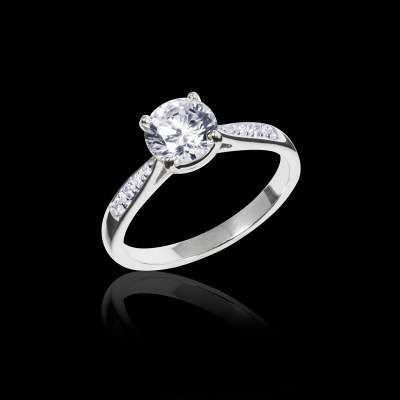 Remember, their personality will also influence the type of engagement ring you choose. If your partner is vivacious and loves to be in the centre of attention then a ruby engagement ring surrounded by a halo of diamonds and pave diamonds on the shoulder is an excellent choice. If your partner is a little more reserved, then perhaps a round cut brilliant diamond ring with two emerald side stones on a platinum band is a better choice. You’v e ticked life discussion, budget and style off the list - now it’s time to choose the metal that’s going to enhance your beautiful gemstones. Whether you want to go for a more romantic metal such as 19 carat rose gold, or a bold 19 carat yellow gold that will bring out the shine in a brilliant white diamond it is your choice entirely. Platinum and 19 carat white gold look spectacular against a deep black diamond, or rare pink sapphire. Your budget will influence the type of metal you choose. Now it’s time to discuss our favourite part of the engagement ring - the gemstone! There are over 4,000 gemstones in the world, so it’s fair to say there’s plenty for you to choose from. Our personal favourites are emeralds, rubies, sapphires and diamonds. These jewels are resilient, durable and give a wonderful shine. 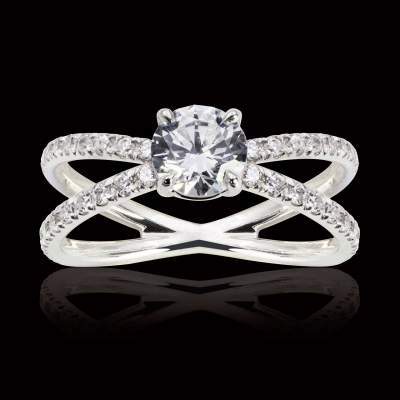 When you choose Jaubalet to create your ring, you’ll have a sparkling engagement ring to die for. If you are choosing a diamond engagement ring, then you should always take the diamond’s certification and the 4 C's into consideration. The cut, color, clarity, and carat weight will influence the quality of your diamond and how much you pay. A top quality diamond with a great cut will reflect light from one facet to another, projecting light through the top of the stone. Jaubalet’s expert jewellers will create a completely unique engagement ring that’s been designed by you. 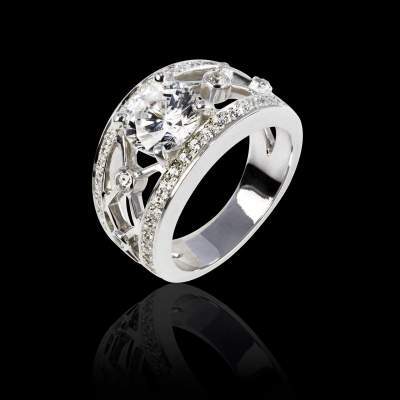 Our revolutionary 3D technology means that you can visualise your desired ring - our experts will then turn your creativity into a high quality, luxurious piece of jewellery. Get in touch with Jaubalet today.